The fifth season of HBO’s Game Of Thrones doesn’t premiere for a few hours, but some ace hackers—with the ability to go to a website and click “download”—already have their virtual hands on its first four episodes. According to Variety, the episodes appeared “on piracy networks” on Saturday, and they had already been downloaded more than a million times this morning. In a statement released by HBO, the network suggests that the leak “originated from within a group approved by HBO to receive” early copies of the episodes, which means it could’ve been an unscrupulous press outlet or some TV reviewer who just wanted to watch the world burn. 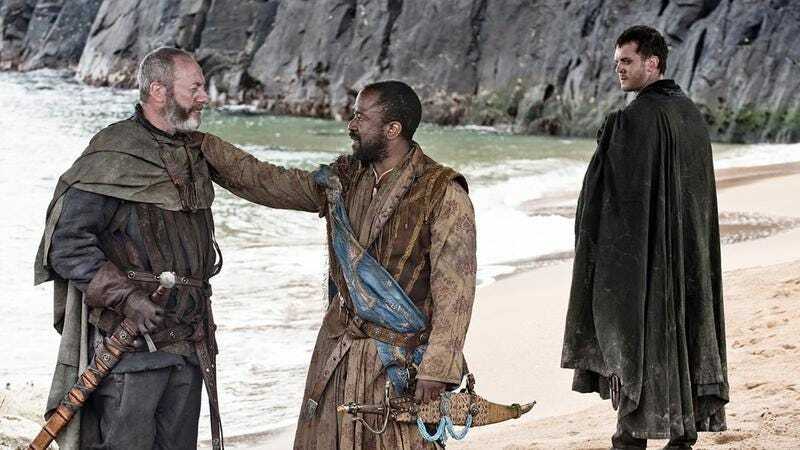 Game Of Thrones is no stranger to piracy, of course, as it features several characters who are (or were) pirates, like Salladhor Saan and Davos Seaworth. Also, we write articles about how many people are illegally downloading it all the time, so we’re just getting started a little earlier this year. The exciting part of all of this, though, is that now the people who have read the books aren’t the only ones who can spoil the show for those who haven’t. Spoilers for everyone!